ANREM is a movement to extend academic and infrastructural support for the upliftment of unaided educational institutions located in underprivileged areas specially Char areas. Under this project, the unaided Schools are supported with infrastructure development, teacher training program, educational awareness program and mini Science laboratories (Dr. A. P. J. Abdul Kalam Mini Science Lab for developing scientific temperament among children). Moreover, lifetime contribution awards were presented to 20 selected teachers who made significant contribution in education sector. 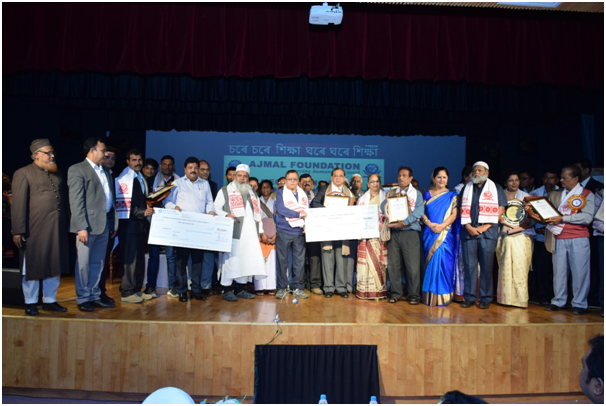 Each of the awardees was handed over a cheque of INR 50,000 by Ajmal Foundation. In addition to this Ajmal Foundation has been providing monthly honorarium to teachers of around 30 schools who had been serving for years without getting a single penny.